I`m new on casparcg and it looks very interesting. There is any manual for CasparMediaPlayback ? 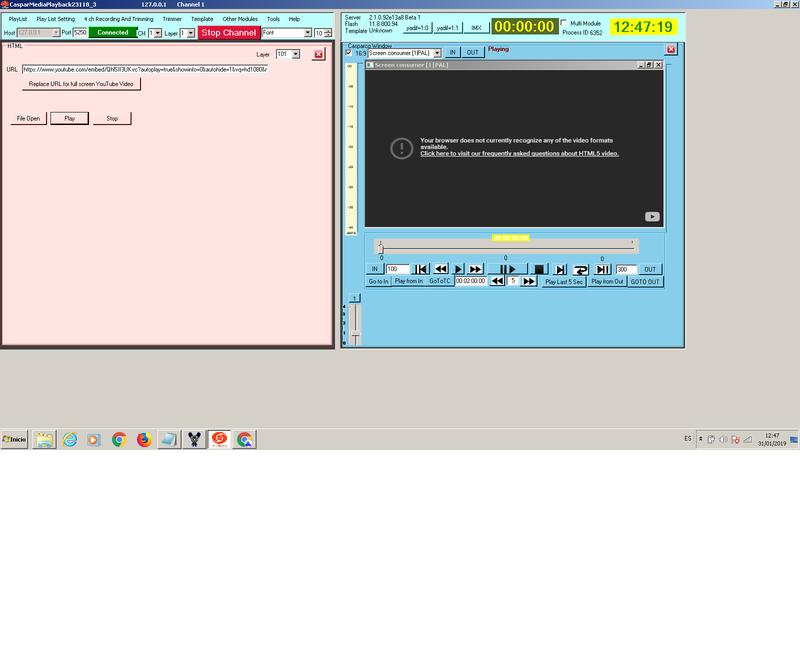 I have downloaded on this forum PlayoutClient 0.1.1.5 but it crash when i push refresh button on the top. CasparCG Server is 2.0.7 and OS Win7 SP1 x64 Professional. There is any updated version or something that i have to config before? Does anyone know why I get this error when I try to play a youtube url? I too have this same problem. Any advice on a way forward? I tried many you tube links and found that these are played good in server 2.2. 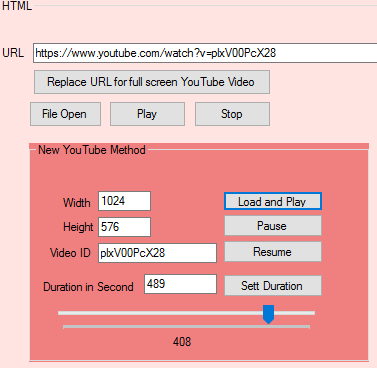 Here is new you tube method for playing you tube video with pause, resume and seek method. Just curious if someone here has the correct settings to start recording with the general recorder? [2019-02-08 13:40:57.495] [info]    ffmpeg[/.mp4] Uninitialized. And then another question @vimlesh1975, is there a possibility to have a start and stop recording button/tick box in the playlist? For example we got commercials and things before the leader of the program, but we only want to record from the leader till the end of the program. I can see recording is going on with file name (.mp4). Here no file name is given and so resultant file is without name mp4. And video bitrate is 32.76 kb/s. Possibility to do anything is there in playlist with the column AMCP command. 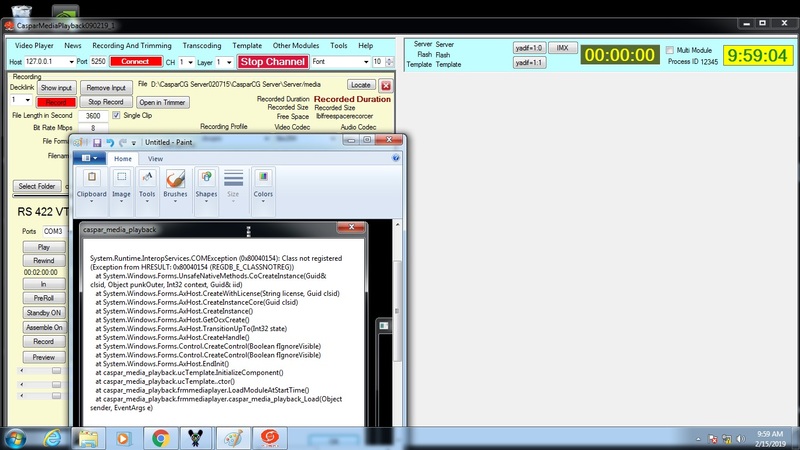 We can write record command ( add 1 file record1.mp4 ) and stop record (remove 1 file record1.mp4) in AMCP column. I was successful using server 2.2. Thank you again and keep up the great work and product. but where I downloaded the server 2.2. I can not find it !!!. I have installed the new version of CMP with CASPER CG server 2.0.7 on a WINDOWS 7 64 bit (service pack 1) computer. When I am launching CMP I am getting an error : SYSTEM .RUNTIME. I have an old CMP from 2017 which runs fine on this pc. 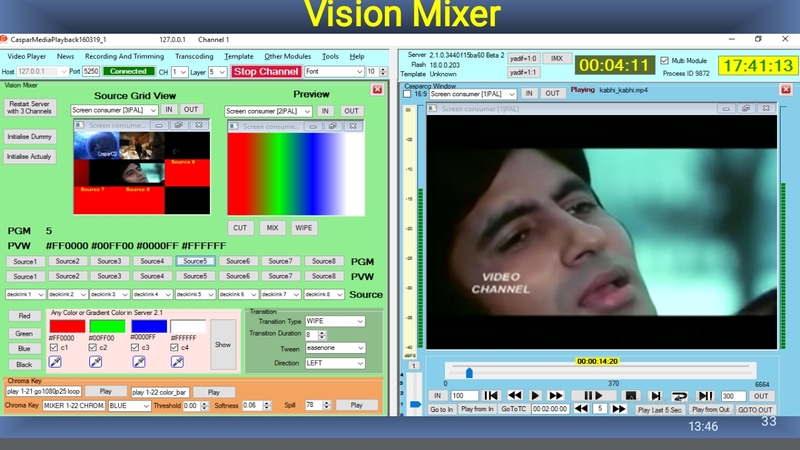 I have improved vision mixer module significantly. And wish to improve further. Passionate work is looking behind it,very useful and smart features you have provided.Inspiring projects developed and modified by @vimlesh1975 . This Simple Video Playout seems to be just what I need for a project. Can someone please give me a simple step by step install / setup guide what I need to do to install the Client (and Server base) on a standalone workstation to get this up & running? Please send me id of anydesk remote control software in a personal message (PM). Teamviewer not working for me. I Hopy 1 day I can use facebook comment on your app. Thanks so much Dr Vimlesh1975.